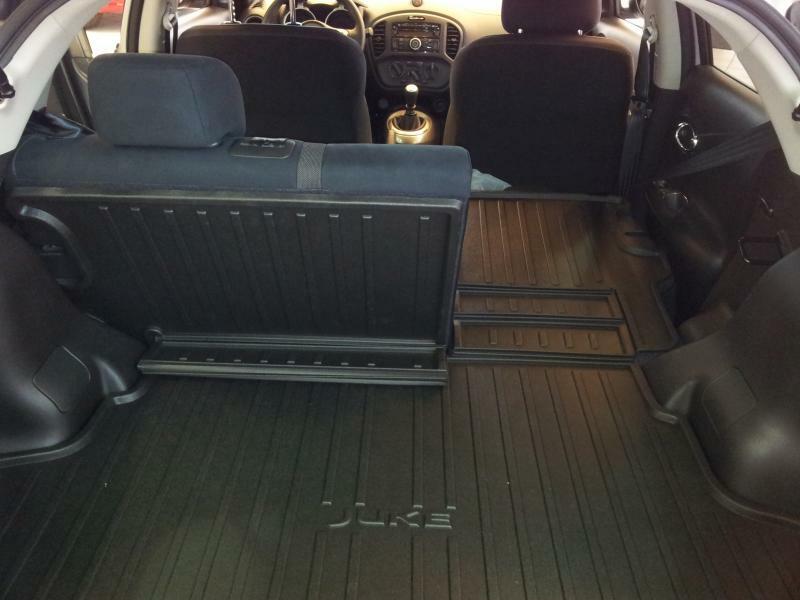 I'm looking for a full cargo mat/liner that will cover the entire cargo area when I have the seats down. Does anyone know where to find one? I put the seats down when I have the dogs in the car and the fabric on the back of the seats seems kinda iffy. I'm afraid they are going to end up tearing through it. I'm hoping I can find one that will stay on even when the seats are up as well. I found a picture of one on another forum, but nobody ever answered if there was one available for purchase. Thanks! White Midori: I've seen that one, but it seems to just be for the main cargo area, but won't cover the seats when I have them down. On another forum I saw this, but nobody seemed to know if it was in actual production somewhere. bookdeity wrote: White Midori: I've seen that one, but it seems to just be for the main cargo area, but won't cover the seats when I have them down. On another forum I saw this, but nobody seemed to know if it was in actual production somewhere. I was considering picking up the Husky setup, but I may have to do some detective work and look for these. Unless someone knows where they're available...it's been a while since this first posted. I figured I'd post this again to see if anyone has seen one of these on the market yet. I haven't seen one yet. I'm pretty close to just getting something from WeatherTech or Husky and being done with it, but I know if something like this did come out I'd buy it and then have two sets of mats plus the oem ones! I suppose with it being spring and all I should hold out until the foul weather seasons roll around again and hope that someone makes something like this. I'm actually a little surprised we haven't seen something like this from Nissan by now. Came across this today. It's hard enough to find a full mat without the subwoofer cut out, it doesn't cover the seat backs but maybe its a start. As far as that image above is concerned, it seems that this was a protoype product for marketing research, unfortunately it has yet to be realized as an actual product. . . Still on the lookout and not finding it. Just FYI.